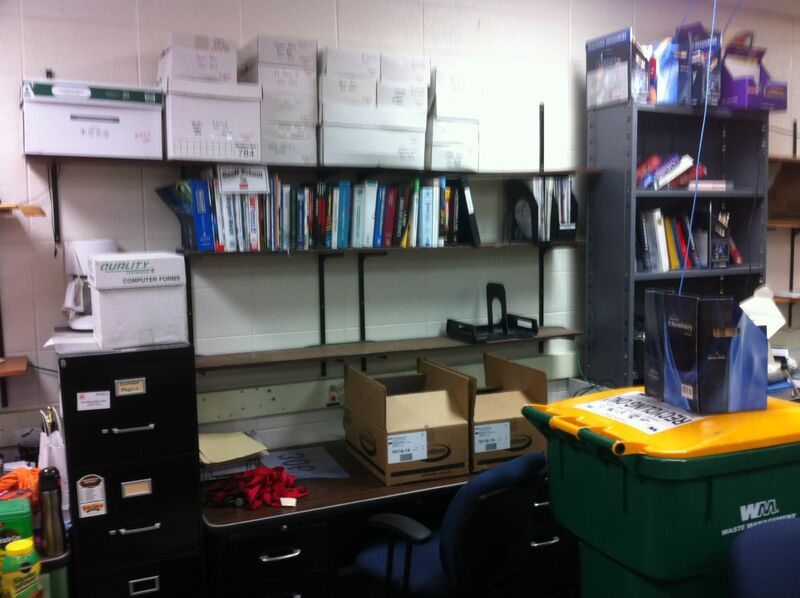 The physical science teachers are busy packing up our office. Over the summer, the ductwork in the ceiling will be replaced, the carpet may be replaced, and there may even be new furniture (we kind of have that 1980s flea market vibe). Kind of a pain to deal with at the end of the school year with everything else that needs to be done, but it is a good opportunity for everyone to clean up, recycle, and trash a bunch of stuff. I’ve been taking a bag of books home every day for over a week. I’m starting to bring a bag and a box home now since there’s less than a week of school left! This isn’t from today, but following up on the CMS Masterclass which was featured in a few daily posts. 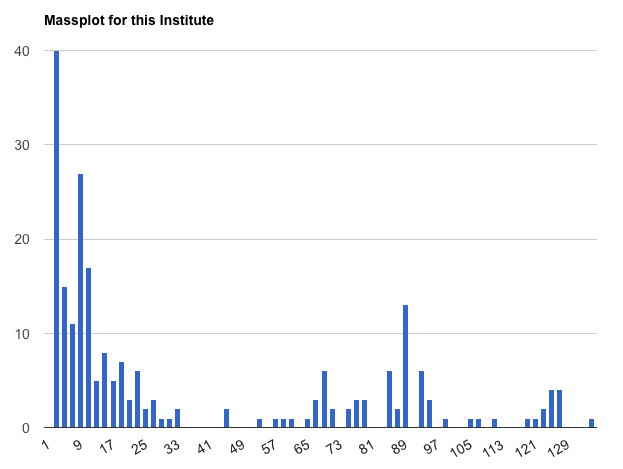 After completing the activity, we had a question about our mass plot based on about 1300 events. We discussed the J/psi at 3 GeV, the upsilon at 9 GeV, the Z at 91 GeV, and the Higgs at 125 GeV. There was a peak at 71 GeV which I couldn’t explain. After checking with a couple of physicists at Fermilab, it appears that the 71 GeV bump is a statistical fluctuation. Fantastic activity for students. Find and attend a Particle Physics Masterclass next year if you can! 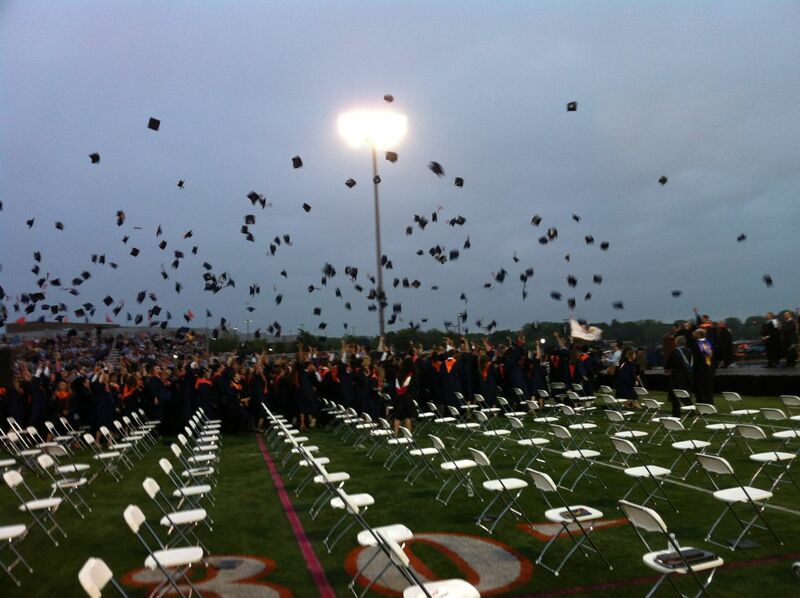 Day 179: Graduation of the Class of 2014! I love graduation and seeing so many students I know celebrate their time in high school and prepare to start that next chapter in their lives. This year we started graduation twice. At least tonight, the weather cooperated and we held the complete ceremony outside in the stadium. It was wonderful! Posted on 28 May 2014 30 May 2014 Leave a comment on Day 179: Graduation of the Class of 2014! Today we celebrated many of the talents and accomplishments of the senior class before their graduation at the Senior Awards Assembly. During the assembly, we premiered Naperville North’s Happy video as inspired by Pharrell Williams. this year’s FIRST Robotics robot, Annie, and I had a brief appearance. As it turned out, graduation was canceled after we all got soaked in the stadium. So, I’ll write about graduation tomorrow. Today was the seniors’ last day in AP Physics B, and we spent the day completing the end-of-year survey, playing with some of their favorite pieces of lab equipment (van der Graaf generator, Windhurst machine, kinetic spheres, etc. ), and finishing our particle physics unit by observing the tracks of muons generated from upper-atmosphere cosmic ray collisions in my cloud chamber. 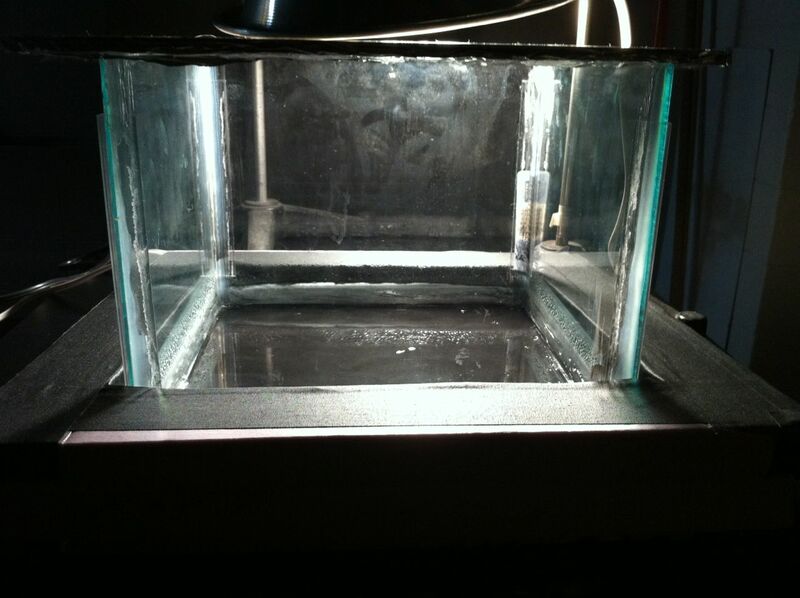 I made the cloud chamber as part of a QuarkNet workshop. 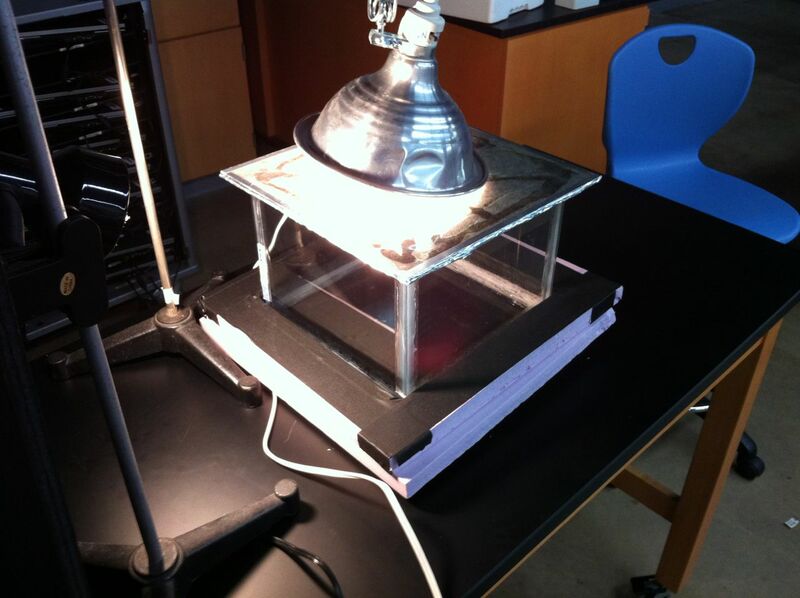 The cloud chamber was working beautifully and several students appeared entranced by the tracks. 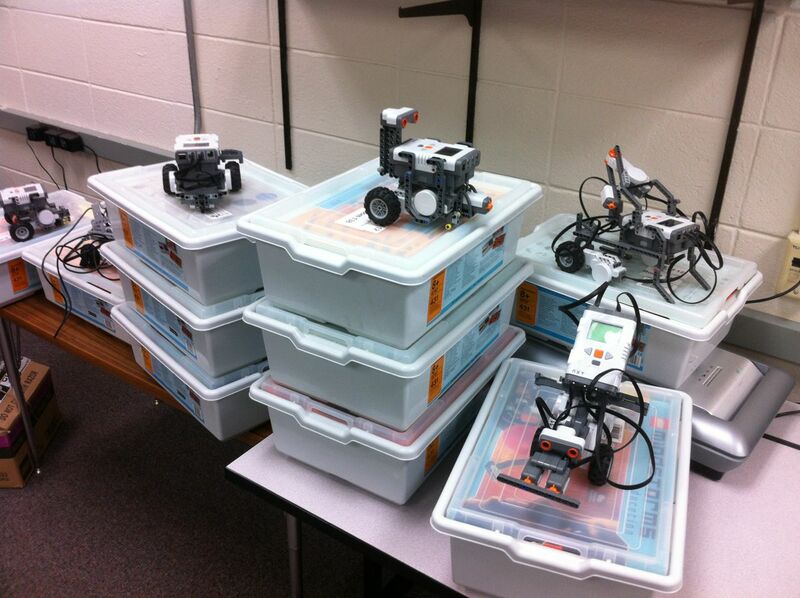 Day 176: LEGO MINDSTORMS Challenge! Today was seniors’ last day in AP Computer Science. Each group (including underclassmen), attempted to complete this year’s LEGO MINDSTORMS challenge which was to push all six jars out of the circle as quickly as possible without leaving the circle. Kim and Nova had the most successful robot, completing the task in 22 seconds. I wish I had a video of their 22-second performance, but I did capture their encore run. Posted on 22 May 2014 24 May 2014 Leave a comment on Day 176: LEGO MINDSTORMS Challenge! My AP Physics B class continues to review events from CMS in hopes of determining the mass of the Z and Higgs bosons. This is a great exercise for students to experience uncertainty. One students asked today if particle physicists have more sophisticated tools to make them more confident in their characterization of events. While they do, the question created the opportunity to discuss how through many, many events that comprise the mass plot, we can build our confidence in our conclusions despite our uncertainty about any particular event. For these two students, one or even two laptops were insufficient for their event analysis. They used two school laptops and their personal laptops! 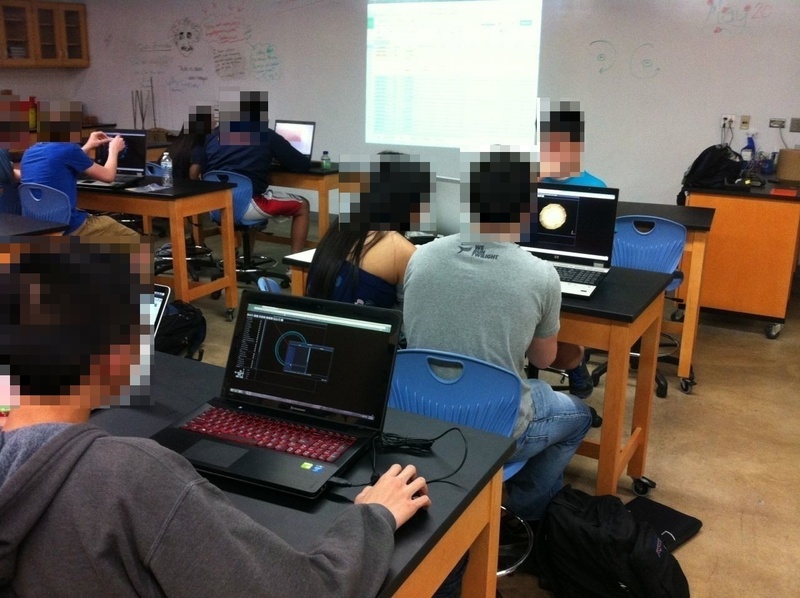 Usually, my AP Physics B class does a version of the CMS Masterclass in our particle physics unit before the AP exam. However, this year, due to school being cancelled due to polar vortices, it was postponed until now. Unfortunately, we weren’t able to attend an official Masterclass, but we are still using the 2014 materials. We are exploring the W, Z, and Higgs bosons. 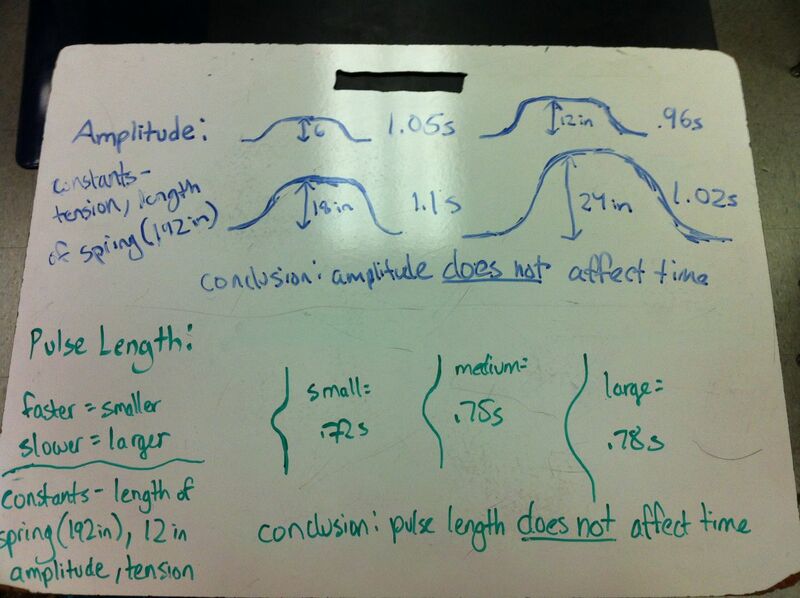 I introduced the lab today, and students started characterizing events. I’ll share the mass plot when we finish on Thursday. I can’t recommend the CMS Masterclass too strongly; seek one out and get your students involved in it! The students in my computer science class have their robots built and now learning about the capabilities of the sensors and working on the software. The instruction manual for the LEGO MINDSTORMS NXT has a sample robot, and I shared a link to the NXT Programs’ Express-Bot. Still, most groups end up creating their own robot tailored to the challenge. I love the variety of designs! I was pleased that after almost a year, students are getting more comfortable with the idea that, due to measurement uncertainty, different measurements may indicate that no relationship exists!